What do you think about Brazil Skillz training? Send me your review! In 2008, Malibu girls’ U-14 soccer team went to the Area 10E tournament league playoffs and played five games to win first place out of other teams from Agoura Hills, Westlake, Simi Valley, Thousand Oaks, Newbury Park and Moorpark. 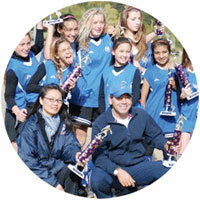 This was the first time in local history that the U-14 Malibu girls’ division won the area playoffs. The team went to Bakersfield to play in the sectional area playoffs. We like to Thank you to Coach Nando DaSilva, with his expertise and Knowledge in Training, Coaching young athletes. “The improvement that my son has experienced in the 10 months under the guidance of Coach Nando is absolutely incredible. In just his first year of playing soccer, Jacob has gone from not being able dribble, pass or shoot to handling the ball with ease, passing with precision, dribbling the ball around defenders, feinting (scissors) and even some juggling.